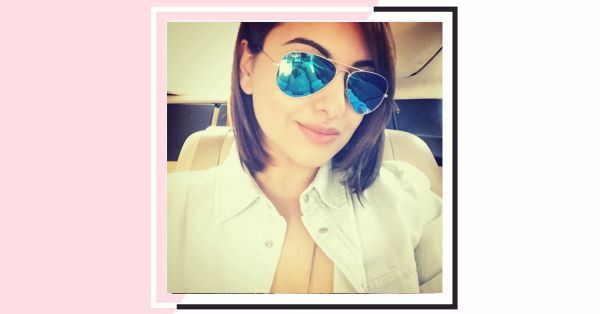 Get Framed: These Hairstyles Are Ideal For Women With Round Faces! A beautiful round face needs a fantastic haircut or style to frame the face and give it a sharper look. If you feel like experimenting and wondering what will suit your face, then have a quick look at our list. We’ve pulled out the best hairstyles for round faces, and you’re going to love them! Save this feature for your next visit to the salon! Use the Schwarzkopf Taft All Weather Shine Mousse Ultra Strong (Rs 375) for that extra bounce in your layered hair. The BBLUNT MINI Spotlight Hair Polish (Rs 250) will add a shine to your mane. Streax PRO Hair Serum Vita Gloss (Rs 176) will tame any flyaways. The Philips HP8302/06 Selfie Hair Straightener (Rs 1,249) works like magic! Volume and curls soften a round face and give your face a more defined appearance. If you’re lucky enough to be blessed with naturally curly locks, then make sure you use curl defining products to enhance those curls and leave them be to frame your face. Use the TRESemme 4x Curl Hydration (Rs 1,198) for perfectly defined curls. A traditional pixie cut might be too extreme, however, one that is modified with long-ish bangs will frame your face nicely. It’s also very easy to style and take care off, which makes getting ready quicker. The Organix Moroccan Sea Salt Spray (Rs 725) will add oodles of texture to your pixie. A fringe paired with steps to frame the face is the ideal stylish hairdo for anyone with a round face cut. This gives great definition to the face and makes it appear sharper than ever. Give it a shot and you’ll be glad that you did! Oil your hair regularly with The Body Shop Rainforest Coconut Hair Oil (Rs 695) for smooth and shiny hair always.